Language is the most massive and inclusive art we know, a mountainous and anonymous work of unconscious generations. 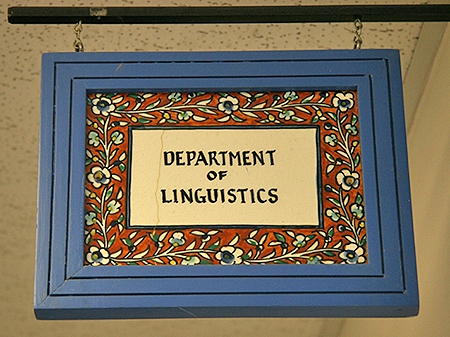 The UNM Department of Linguistics is the only degree-granting linguistics program in one of the most multilingual and multicultural states in the U.S. As such, it bears particular responsibilities both to the field of linguistics and to the residents of the region it serves. The department thus has two concerns: (1) teaching and research on language structure and use, and (2) service to society on language-related issues. The department's approach to linguistic theory takes a primarily cognitive-functional perspective that focuses on language structure as interacting with language use. Data-driven and fieldwork methods are emphasized to support usage-based analyses of dynamic language phenomena. This orientation emphasizes the study of language typology, change, discourse, interaction, variation, interpreting, processing, and acquisition. The department is particularly concerned with the study of regional languages (especially Navajo, varieties of Spanish, and indigenous languages of the Americas) and signed languages (American Sign Language, in particular). This theoretical approach provides the foundation for effectively addressing our commitment to the application of linguistics to social concerns, including minority language maintenance and empowerment of minority communities. Thus, the department not only studies and teaches about the structure and use of language, but also encourages faculty and student involvement as advocates and participants in outreach to the linguistic communities in which we carry out research. If you are interested in applying to our PhD program, please read about our Greenberg Fellowship award. Joan Esse Wilson, a Ph.D. student in Linguistics (with a concentration in Speech and Hearing Sciences), is in the news for her work with Dr. Claudia Tesche, a Professor in the Department of Psychology, on Autism Spectrum Disorder. The HDLS 13 abstract submission deadline is August 15th. See hdls.unm.edu for more information. HDLS will be offering a $250 Best Poster Award, sponsored by the peer-reviewed open access journal Languages! Dr. Emmanuel Asonye, a visiting scholar in the department, has initiated a GlobalGiving campaign to fund his non-profit, S-DELI. Dr. Asonye’s non-profit supports both documentary research on the indigenous form of Nigerian Signed Language, as well as outreach and advocacy projects in support of the Deaf community in Nigeria. Take a look at the S-DELI website to see the impressive range of his research and outreach activities! Welcome home from Baños, Ecuador to our returning scholars who presented at AMAZONICAS 7, the International Conference on Amazonian Languages: Associate Professor Rosa Vallejos, graduate students Josefina Bittar & Jens Van Gysel, and newly minted PhD, Dr. Andrés Sabogal. During the conference Associate Professor Rosa Vallejos was selected by the assembly to serve on the Permanent Committee, which plans the conference and associated summer school, for an 8 year term! Professor Sherman Wilcox has been named Associate Editor of the journal Cognitive Linguistics. He will be providing expertise to the editorial board on signed languages, gesture, multimodality, and Cognitive Grammar. Congratulations, Sherman! Our students report that Lecturer Dawn Myers brings “passion and dedication” to the classroom. Her outstanding mentoring and teaching is being recognized with the Arts & Sciences Teaching Award for Excellence. Congratulations Dawn! Congratulations to our 2018 graduates, including 1 minor in Navajo, 17 B.A. in Linguistics, 12 B.S. in Signed Language Interpreting, 4 M.A. in Linguistics, 5 Ph.D. in Linguistics, and 6 Fellowships. Linguistics Faculty in the News: Dr. Dolly Manson was interviewed by KOAT for a news report on teaching Navajo to young children. Dr. Manson encourages families to speak Navajo to their babies and keep at it. Thank you Dolly for getting the word out! Congratulations to Damien Lopez, and advisor Assistant Professor Chris Koops. Damien was selected for the prestigious Mellon Mays Undergraduate Fellowship. Congratulations again to Associate Professor Rosa Vallejos who is one of just 6 scholars nationwide awarded an NEH-NSF Documenting Endangered Languages Fellowship! The fellowship allows Prof. Vallejos to pursue fieldwork on Secoya, an Amazonian Language. Graduate Student Jens van Gysel has been awarded a Field Research Grant from the LAII to conduct fieldwork this summer in Paraguay. ¡Buen viaje, Jens! Regents’ Professor Emerita Veronka (Vera) John-Steiner, an internationally recognized scholar, author, and teacher, passed away on December 6, 2017. She will be honored in two celebrations of her life sponsored by the departments of Language, Literacy, & Sociocultural Studies, and Linguistics. All are invited to attend these celebrations in Albuquerque on April 28th, 2pm – 4pm, at the UNM Rotunda, and in Santa Fe on July 7th, 2pm – 4pm, at the Santa Fe Children’s Museum. If you would like to send a message to be shared at these events, please email it to Lois Meyer, lsmeyer@unm.edu. Congratulations to Associate Professor Rosa Vallejos who was invited to give a talk this weekend at the University of Sonora at a conference exploring symmetrical and asymmetrical dependencies in typologically diverse languages. On February 6, Dr. Dolly Manson was installed as a member of the Board of Directors with the Chinle Comprehensive Health Care Facility (CCHCF) in Chinle, Arizona in the heart of Navajo land. Strong Navajo cultural traditions and language use exist within the area, offering an opportunity to learn the Navajo language, or to learn about traditional Navajo medicine. As Program Director of the Navajo Language Program, Dr. Manson has promoted the use of Navajo in professional contexts, including Medical Navajo. 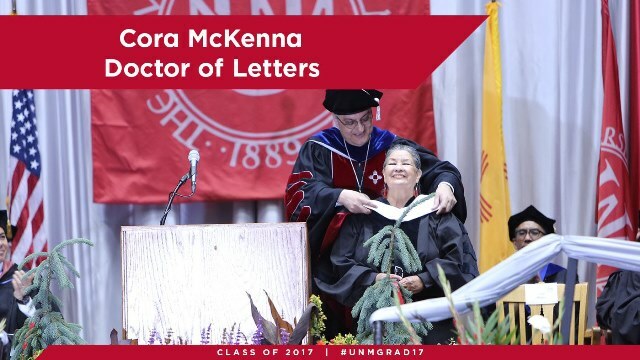 The University of New Mexico Alumni Association has selected Professor Emerita Phyllis Perrin Wilcox for the Bernard S. Rodey Award. This award recognizes those whose leadership efforts have contributed significantly to the field of education. Hats off to Professor Wilcox! Congratulations to Prof. Esther Brown, UNM alumna and Associate Professor in the Department of Spanish & Portuguese at the University of Colorado, Boulder, for being awarded the Greenleaf Scholarship by the LAII. We look forward to a colloquium by Prof. Brown on January 29 at noon in Ortega Hall Reading Room (ORTG 335). Happy New Year 2018! We’re off to a running start with the 92nd Annual Meeting of the Linguistic Society of America which took place January 4-7 in Salt Lake City. Students Daven Hobbs, Ricardo Napoleão de Souza, Jalon Begay and Jens Van Gysel as well as faculty members Chris Koops, Jill Morford and Rosa Vallejos presented their work at the Meeting. The Department of Linguistics mourns the loss of our colleague and friend, Professor Emeritus Alan Hudson. Alan, a native of Ireland, completed his PhD at Yeshiva University on language attitudes and came to UNM in 1974. While serving as Chair, he negotiated the transition of Linguistics from program to department, and worked to establish the PhD in Linguistics. He was also a great contributor to the local theatre community. Those of us who knew him well will miss his vision, energy and talent. Dr. Dolly Manson was interviewed on KOB’s Eye on New Mexico to discuss Navajo language maintenance efforts. Click on the link to watch a recording of the show! Associate Professor Caroline Smith, in cahoots with Cathy Rogers of the University of South Florida, coordinated a panel on “Teaching Phonetics in the New Millenium” at the 174th Meeting of the Acoustical Society of America in New Orleans. Save the date! On Thursday, November 8 the Linguistics Community at UNM will be hosting a reception from 5pm – 7pm to celebrate bilingualism and New Mexican Spanish. The reception will include an alumni social gathering and the book launch for Bilingualism in the Community, by Rena Torres Cacoullos & Catherine Travis. We hope you can join us for this event as well as the conference!